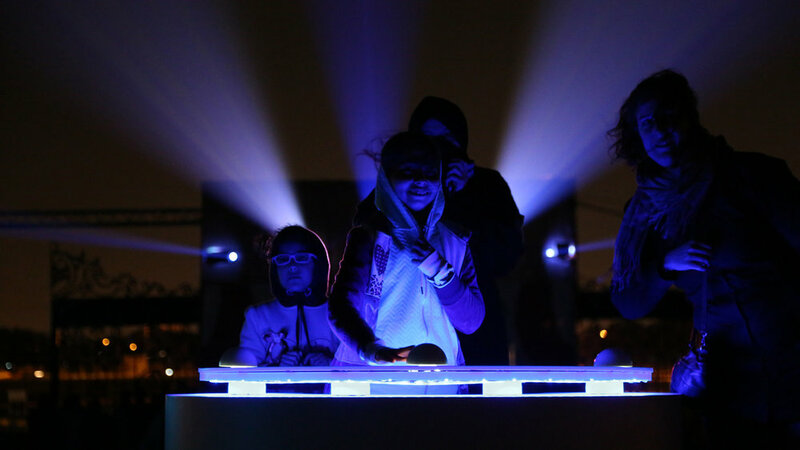 Maestro is a interactive video mapping, controlled by the user through a surprising futuristic console. Where they were offered to choose between three original Mappings: SAND, MOSAIC and ORGAN. 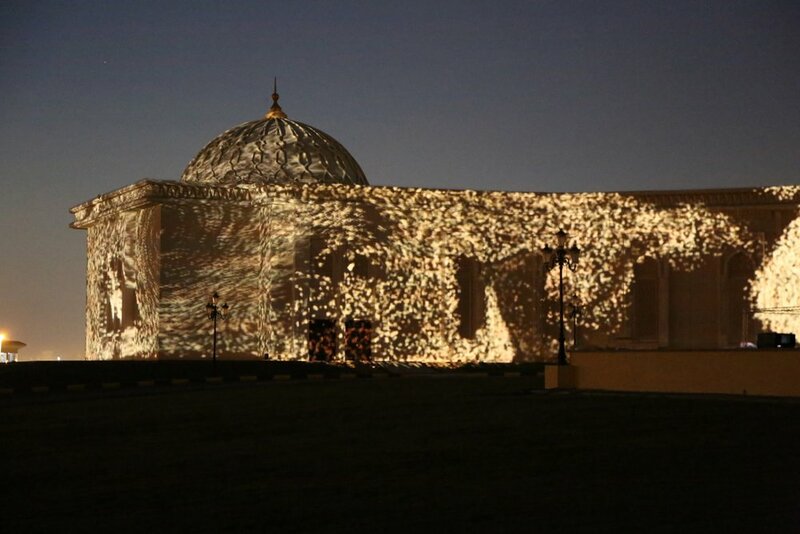 We were commissioned by Nomada to participate at the Sharjah Light Festival 2017. The installation was set up on a half kilo-meter long building with 19 video projectors of 20,000 lumens and 8 sky-tracers.